At an abandoned motel on a desolate American road, a mother meets with a cult deprogrammer, believing she will be reunited with her runaway daughter – what happens instead is something that will shock her to her core. 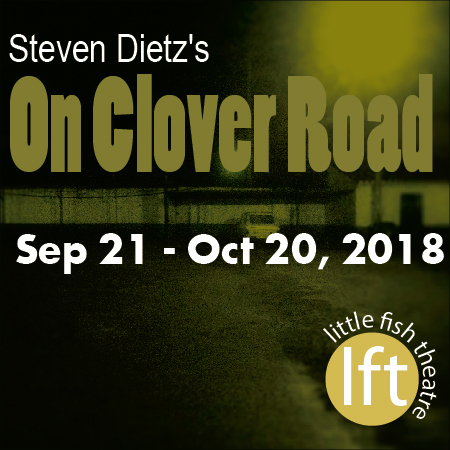 Kate is a determined mother who has set up a meeting with Stine, a cruel interrogator, at the Cloverleaf Motor Hotel. Kate wants Stine to kidnap her daughter away from the cult she joined four years ago when was 13, and “de-program” her. When Stine brings a disheveled Girl back to the room, Kate has doubts as to her real identity. After the leader of the cult, Harris McLean, is enticed to the room, more than passions are ignited. Barred doors, a gun, lipstick, rope, crunchy peanut butter... nothing is as it seems. And something will go wrong.